Experience the exhilaration of kitesurfing – feel what it’s like to fly! Master the basics of kite flying on the beach & learn about safety. 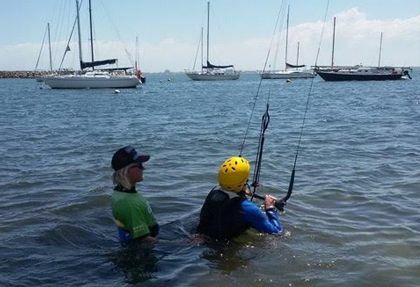 Develop your piloting in the water to become self-reliant with the kite. Learn the techniques to stand up and get moving on the board. 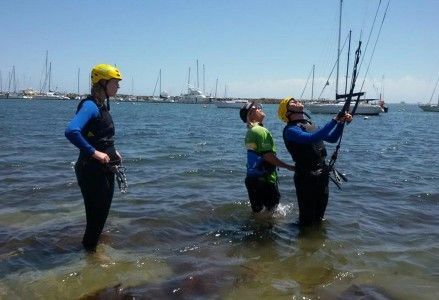 Put together everything you have learnt to become an independent kitesurfer. "The lessons I received at GoKite were world class (literally, my instructor was the British open men’s champion!). He was very in touch with my rate of progression, something I was extremely grateful for, but what I was really blown away by was the extensive personal effort offered once I had finished all my classes. Kiteboarding is now a big part of my life and I would strongly recommend both the sport and GoKite to anyone interested in trying it out." "My Gokite experience was very awesome! 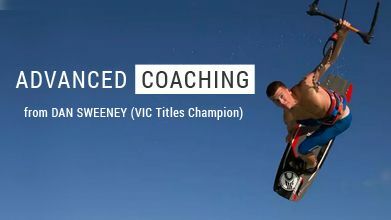 I am a Sponsored kiteboarder looking to improve my skills further for the national competitions and Dan exceeded all my expectations teaching me more then I expected to learn. He really took the time to breakdown your riding style and skill to increase progression. I nailed my first S-Bend to blind in my first coaching session! I guarantee you will come out having learnt something that will improve your riding." 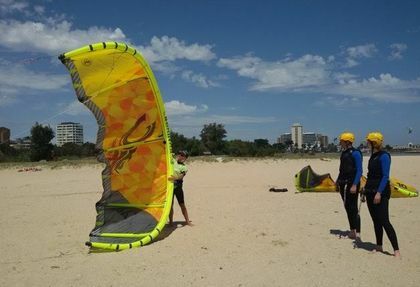 "Completed the 5 hr private lessons package with GoKite and not only loved the experience, was up and riding by the last session! I chose GoKite as they make sure the conditions are right for the level of the rider and for their experienced instructors." 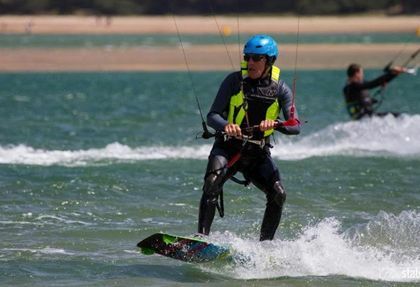 Is it difficult to learn kiteboarding? No. Most people can get up on the board during the 6 hour “Get Riding Course” with no previous watersport experience. Do I need to be fit & strong to learn kiteboarding? A moderate amount of fitness is required for kiteboarding as with any sport. Only a small amount of strength is required as our instructors select the right equipment for you every lesson taking into account weather conditions and your experience. What is the minimum age limit to learn to kitesurf? We will teach students above 10 years-old and they must weigh more than 35kg. Anyone under the age of 18 must have a parent or guardian present during the lesson. What do I need to bring to my lesson? Make sure you bring water, sunscreen and beachwear. For lessons in the water you’ll also need a towel and bathers – we’ll provide a wetsuit as part of your package, but you’re welcome to bring your own. All kiting and safety equipment is provided. Can I do the whole kiteboarding course in one day? We recommend that the 6 hour “Get Riding Course” is divided into 3 sessions over 3 different days so that you get the most out of your course. Students can usually manage 2 hours of lessons per day. What happens if there is no wind when I have my lesson booked? We ask students to call 1 hour before the scheduled lesson start time to confirm if the wind conditions are suitable for the lesson. If the lesson is cancelled or stopped midway through due to lack of wind we reschedule lesson and give you a credit for the remaining time at no cost to you. 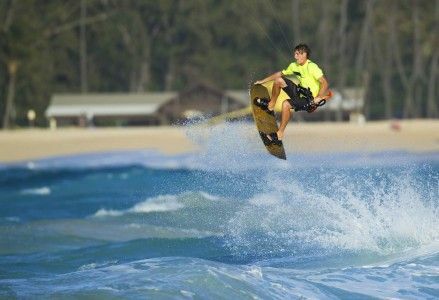 Personal confidence and general Kite Controls or Kite Skills can often be overseen for some new Kiteboarders.